The construction of the church has been dated back to the XI and XII centuries, although there are no written documents that testify this. The church went through at least two relevant structural interventions in the course of the centuries. 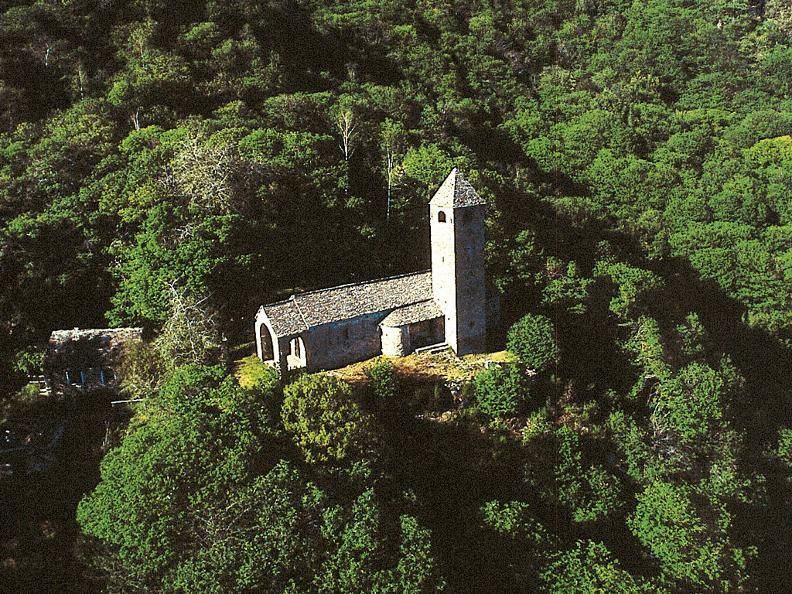 The first, in the XV century, doubled the footprint surface of the building and added the portico and the belltower. The second, achieved during the following century, added the chapel, transformed the apse, and added construction of the sacristy. As far as the frescoes are concerned, the most ancient appear to be the "Madonna del Latte" and the "San Cristoforo" dating back to the mid-14th century. 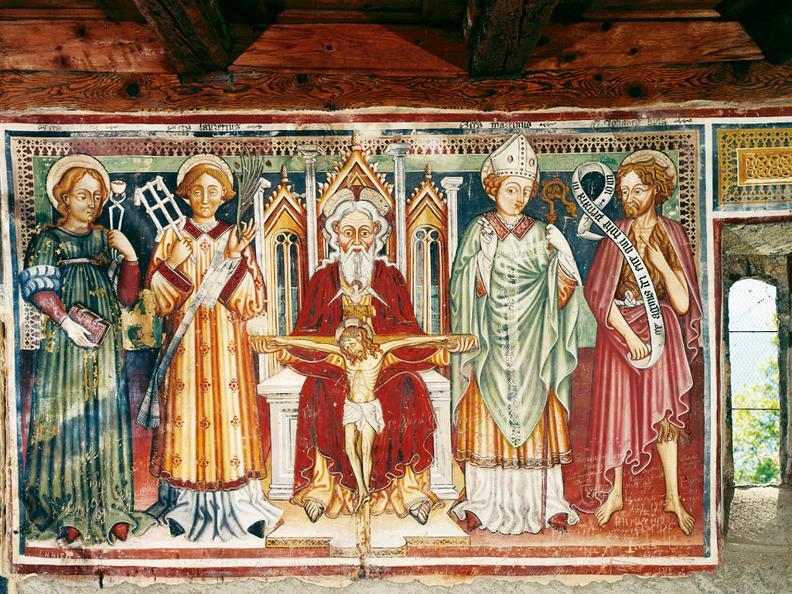 The north wall is adorned with painting dating to 1427, which represent allegories of the months of the year, the adoration by the Magi, the crucifixion and the saints. Following the enlargement of the second half of the 15th century, the newly constructed walls were embellished by Cristoforo and Nicolao da Seregno. The paintings of the new chapel and apse date to the late XVI and early XVII centuries, respectively. With the beginning of the XVII century San Barnàrd enters a slow downturn. Although the church has been established between the XI and the XII centuries, the dedication surely dates to later years, since Bernardo da Chiaravalle died in 1153 and was canonized in 1174. 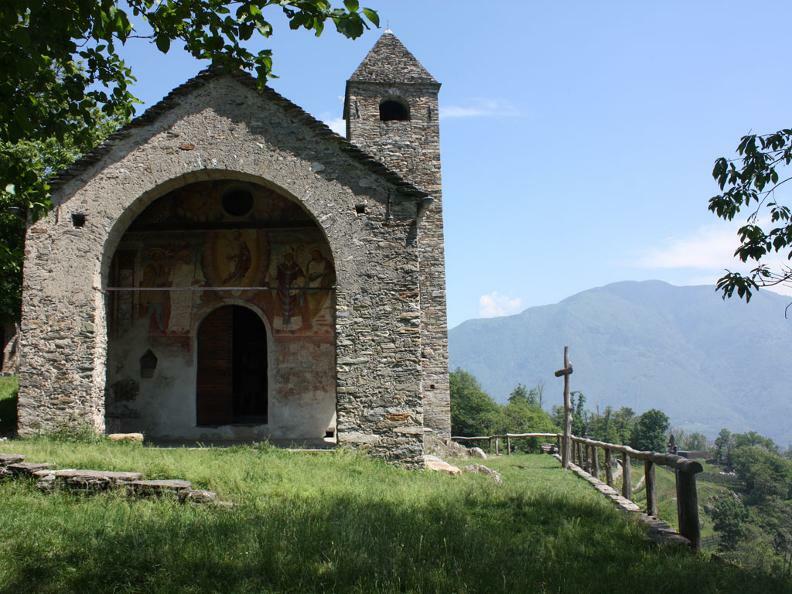 At that time San Barnàrd was only a small romanic oratory which was about half the present size in lenght: the church reached approximately the present start of the allegory of the months, and included a nave and a semicircular apse (with the choir and the altar) separated by a wooden lattice. 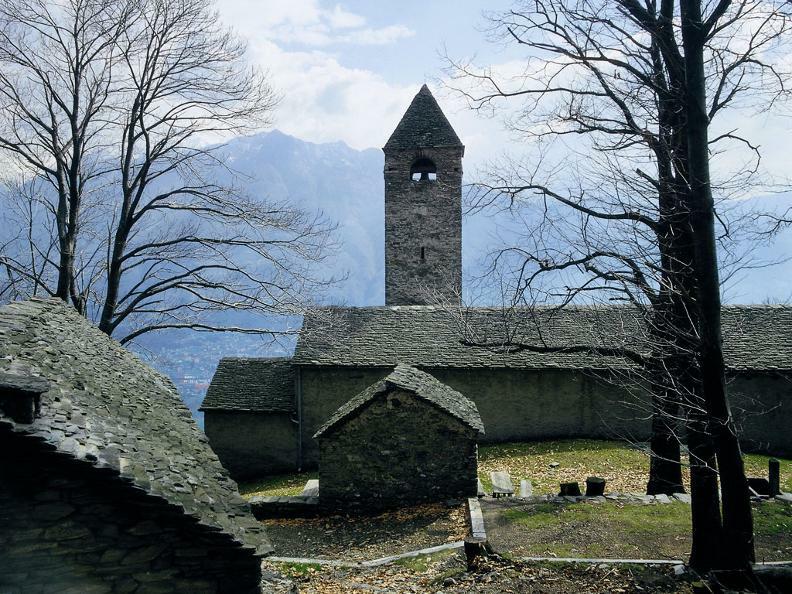 In 1450 the San Bernard church was enlarged to its present size: the footprint doubles, a front portico and a bell tower are added. At this point the work by the Seregnesi begun: Cristoforo and his nephew Nicolao. These were two artists who left their home in Seregno, a small village of the Brianza, to settle in Lugano. 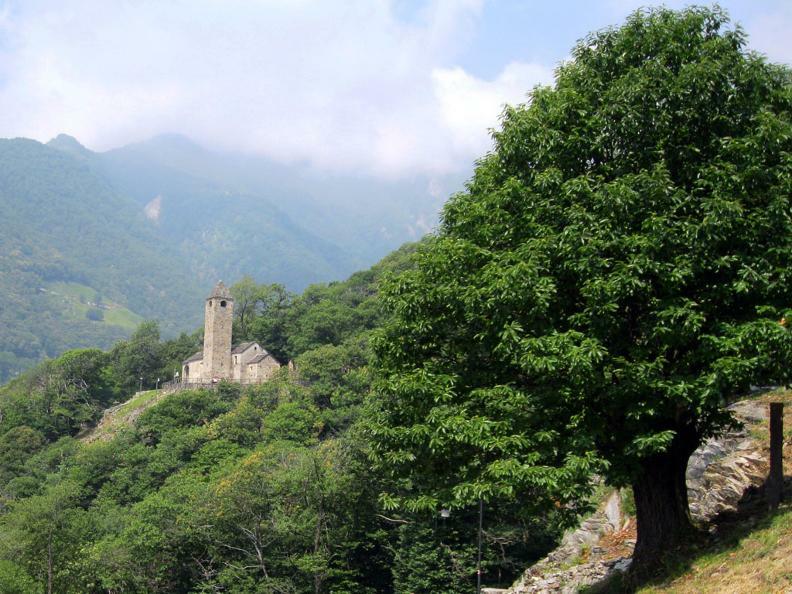 They were active all over Ticino, but particularly in the northern part, the Sopraceneri, during the second half of the 15th century. 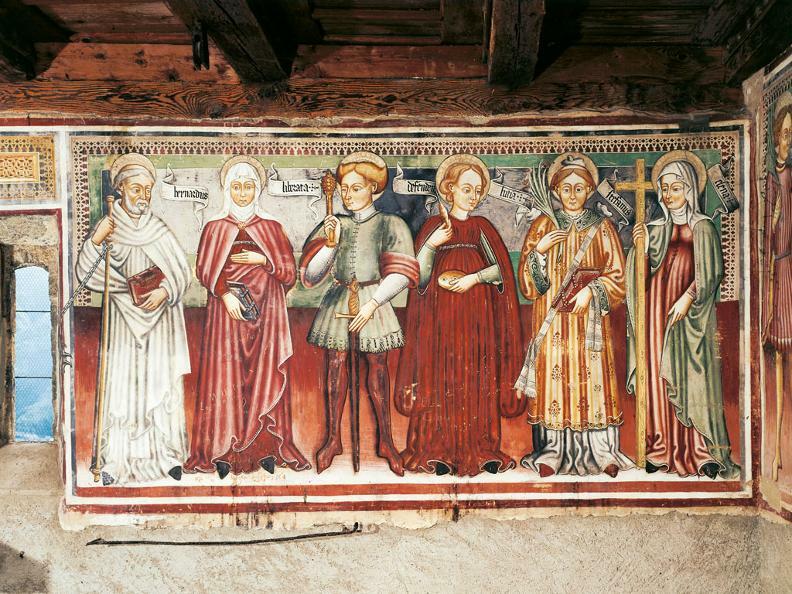 The "Last Supper' that you can admire on the north wall of San Barnàrd was painted by the oncle, Cristoforo. Finally, during the second half of the 16th century the San Barnàrd church reaches its definitive and present appearance, with the further addition of the San Nicola chapel, the reshaping and expansion of the apse, and the costruction of the sacristy.